Newborn babies require fairly specific nutrition to aid their continued growth and development. Breast milk offers a near perfect balance of all the proteins, vitamins and fats that a developing newborn needs. Yet according to the Centers for Disease Control (CDC), only 81 percent of mothers elect to breastfeed their child, and many stop earlier than the recommended minimum period of six months to a year. Electing to breastfeed a child is a personal decision. Mothers who choose not to breastfeed do have nutritional alternatives such as instant formula, but are there consequences to this decision? Most studies have focused on potential consequences for the child, but new studies are evaluating any effects on the non-nursing mothers. Indeed, according to a new South Korean study published in the American Journal of Ophthalmology, one potential consequence is a mother’s increased risk for cortical cataracts. A cataract is a clouding of the eye’s lens that interferes with vision and can eventually lead to blindness. Although cataracts can be caused as a result of eye trauma, long-term use of certain medications, or, in rare cases, be present from birth in the form of congenital cataracts, the condition is typically associated with aging and the natural breakdown of protein fibers in the lens. A cataract can occur at the back of the lens (subcapsular), deep within the center of the lens (nuclear), or peripherally along the lens developing towards the lens cortex (cortical). Based on the results of the South Korean study, breastfeeding and cortical cataract development have something of a symbiotic relationship. 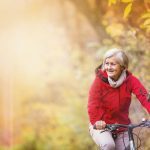 The study included the participation of more than 3,800 women aged 50 and older who had one or more children. The women were interviewed about their breastfeeding practices, in addition to having previously been examined for age-related cataracts as part of the Korea National Health and Nutrition survey. Additional factors evaluated in the study included family health history (genetic predisposition to cataracts), education level, smoking status, alcohol consumption, level of sun exposure and other lifestyle and health history factors. Participants were placed in one of four groups based on the number of children they breastfed, and the duration over which breastfeeding took place. The number of children breastfed ranged from 0 to 4 (or more), and the general period of breastfeeding ranged from 0 to 61+ months. Based on a thorough investigation of all these data points, researchers determined that women who breastfed multiple children over a longer period of time had a lower risk of cataracts. More specifically, the study found that women who breastfed 4 or more children were 44 percent less likely to develop cortical cataracts than women who opted not to breastfeed, or did so for only one child. Furthermore, it was determined that cortical cataract risk decreased by 5 percent for each additional year that a woman breastfed a child. Looking at the data and establishing the connection is one thing, but identifying the exact reason as to why breastfeeding could reduce a woman’s risk for developing cortical cataracts is unclear. Researchers involved with the study speculate that it could be related to the changes in weight that occurs during lactation as fat is burned. This process could reduce the risk for metabolic diseases, which in turn could reduce risk for associated cataract formation. Another aspect of breastfeeding that could be a potential connection with metabolic disease minimization is the release of a hormone called oxytocin that occurs when breastfeeding. Oxytocin is a pituitary gland neuropeptide that plays a role in sexual behavior and reproduction, and a variety of neuropsychiatric functions like social recognition, anxiety, empathy and more. Oxytocin is a metabolic stabilizer, so its associated release could help regulate metabolism and prevent metabolic disease. Questions clearly remain, but researchers see a clear relationship between breastfeeding and cortical cataract formation, suggesting that additional studies are needed to corroborate the findings and confirm across other populations outside of Korea. The other question remains as to whether the breastfeeding women would develop cortical cataracts later in life, after the time span of the study. Although the results of the South Korean study indicate a strong relationship between breastfeeding and cataracts, the decision whether or not to breastfeed remains a personal decision that each woman should make for herself. 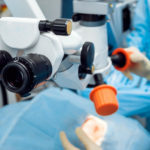 Cataracts can be lifestyle debilitating, and though cataract surgery can restore (and perhaps even improve) previous quality of vision, taking steps to limit risk is always a good thing. That said, breastfeeding has also been linked with a reduced risk for breast and ovarian cancers, osteoporosis and other health related issues, so a reduced risk for cortical cataracts may not necessarily tip the scale for women who have already determined that breastfeeding is not right for them. Speak with your doctor about the pros and cons of breastfeeding and continue checking back with Better Vision Guide for additional updates related to the cataract connection. Congenital Cataracts – Can You Have Cataracts Early in Life?